This collection of essays has been compiled as a tribute to the work of psychologist, Peter Lomas. 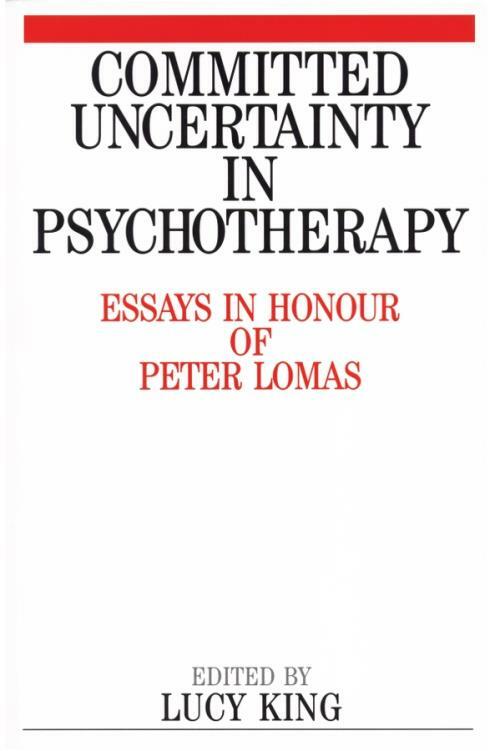 Peter Lomas trained as a Freudian psychoanalyst at the Institute of Psychoanalysis in London. 1. Treating With Respect and Sincerity, Peter Lomas. 2. Interview With Peter Lomas. 3. Peter Lomas, Therapy and The Outfit. 6. Imagination and Metaphor in The Development of The Trainee Psychotherapist. 7. Peter Lomas, Friend and Fellow Writer. 8. peter Lomas and The Question of Science. 9. Freud in Perspective, The Problem of seduction. 10. The Limits of Technique in Family Therapy. 11. A Century of psychotherapy. 12. The Importance of Being Peter Lomas. Social Change and The ethics of Psychotherapy.